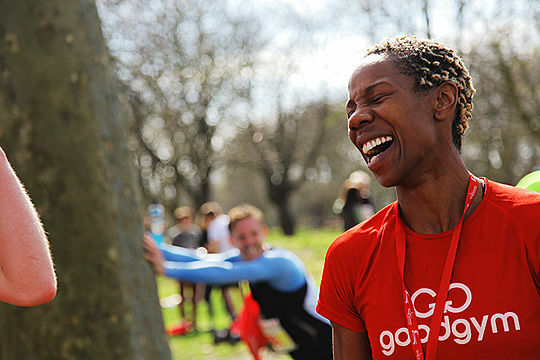 For almost 10 years GoodGym has been creative about the different ways we do good and get fit. As we’ve grown and adapted to new areas, we’ve been able to try new things to get more people involved. Something I hear a lot is that there are still many barriers which prevent people from giving GoodGym a go. In this story, I think about changing the pace. There are number of reasons people might hesitate to join a Group Run. One of the most recurrent worries is the fear of not being able to keep up. I hear people saying they haven't run in a long time, that they feel they are not yet fit enough and that they worry about being left behind. At all GoodGym Group Runs we try to eradicate these worries. Every session is backmarked, which means someone volunteers to run and chat with the runners at the back of group. In addition to this runs of less than 5km are labelled 'starter sessions' and offer a friendly and supportive environment for runners to build up their stamina. It is important our runs aren’t too daunting to those new to running. How can we do this? Can GoodGym make sessions that are accessible for those who are injured so not running doesn't prevent them from doing good? Would GoodGym be open to a rebrand of the fitness component to include walking, jogging and running? In York and a few other GoodGym areas, a ‘walk leader’ role has been unofficially trialled. For community tasks less than 5km, runners are invited to walk and set off a little earlier to meet those who have run ahead, then get stuck in to the good deed together. Ellie is the walk leader from GoodGym York and has a strong passion for the walking option. She told GoodGym "I have health issues and sometimes running isn’t possible, so it’s great to have an accessible activity. 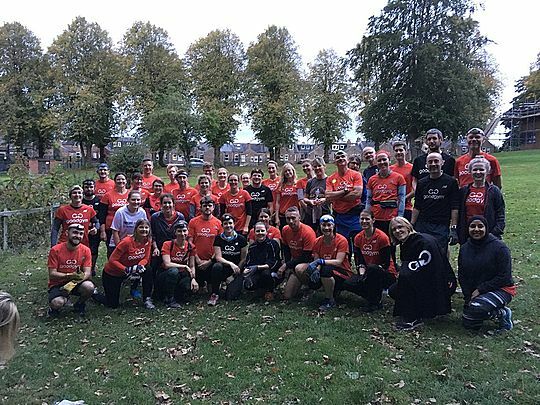 For me it makes GoodGym feel even more supportive and inclusive." She has also seen how offering walking can encourage people to then try running: "My favourite thing is watching fellow walkers get fitter and more confident and start to run. Then the first time they complete a full group run it makes me feel like a proud mum!" It is evident that having Walk Leaders would build fitness and confidence to the point where members feel up to the Group Run, bridging a necessary gap. 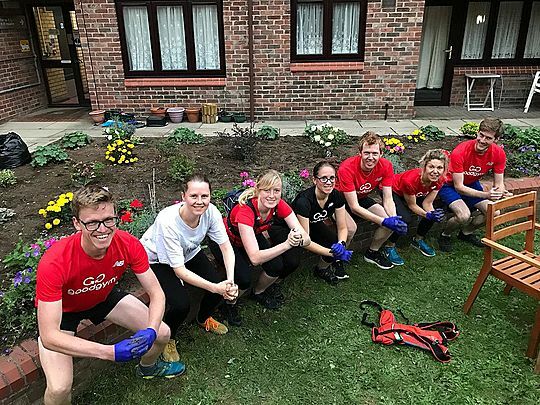 Katie, a GoodGym York walker, had to say "This option has given me the opportunity to stay involved as a volunteer whilst trying to build up my fitness." Katie also pointed out that the walking group isn’t just for people that don’t fancy running but also for runners that fancy a cool down day after a heavy weekend session, or someone that is injured but still wants to volunteer and catch up with GoodGym friends: " Clearly the walking choice is an excellent option for all"
You may have seen GoodGym's tag line of 'Do Good, Get Fit'. Everything we do supports this and I see walking groups as a natural progression. That is why from Monday 22nd October the option of walking on a GoodGym group session will be made available where the task is a suitable distance away. Task Force members will be able to sign up as the Walk Leader and accompany those not wanting to run. We will still be doing good, we will still be getting fit. Sometimes it will just be at a different pace.